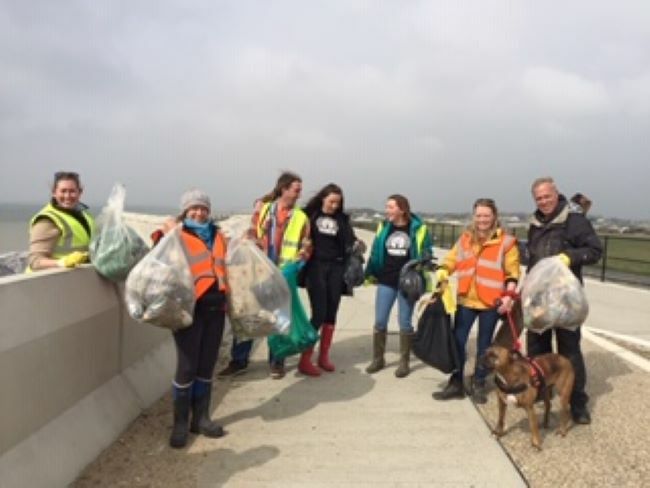 Last Saturday, April 6, an army of willing volunteers, between 80 and 90 to be precise, descended on Camber Sands for a major beach clean operation lead by Councillor John Bradford on behalf of Camber Parish Council. Between them they collected 55 bags of debris including wood, plastic and miscellaneous scrap! One thing which was raised and very evident was the cavalier attitude of some dog owners who discard their used poo bags anywhere but in the bins. 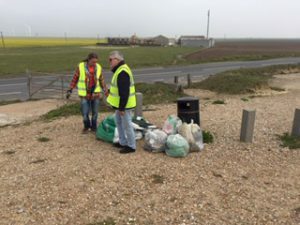 Thanks should also go to those who provided litter pick up poles, gloves, hi-viz vests and refuse bags plus Pontins, Rother District Council, the Parish Council, ebike-hire and the Kite Surf Centre who all played their part on the day. The Gallivant kept everyone fed and watered with endless tea, coffee and wonderful fish finger sandwiches after the event. Thanks also go to Rob Cass, coastal officer and his team for clearing up after the seagulls attacked the litter bags later that day. 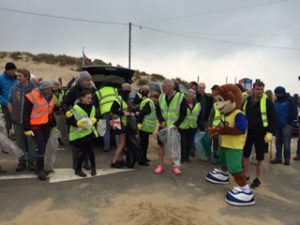 Raising awareness was part of the beach clean process by highlighting the problems litter causes to the environment and our communities let alone the costs involved in putting things right after the beaches empty of visitors. Congratulations to all concerned, a job well done but a shame it needed to be done in the first place.